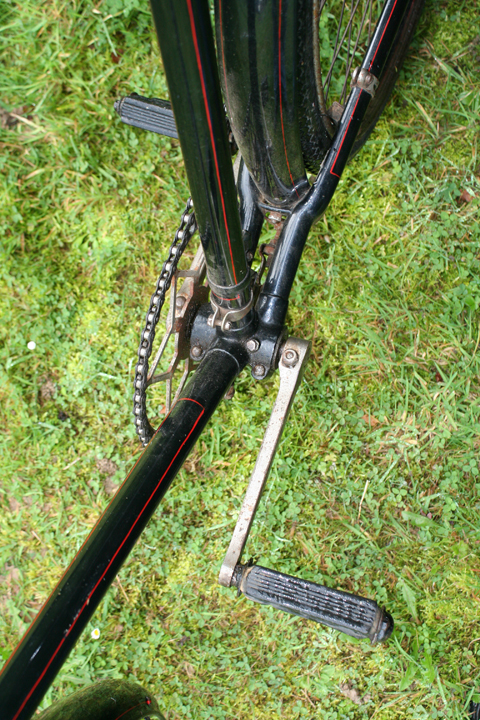 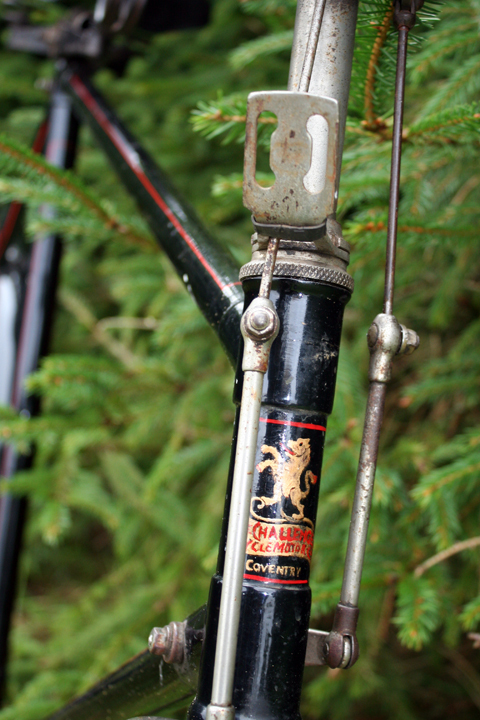 Apart from the obvious appeal of a rare early road racer, what I liked most about this bicycle when I first saw it was the wonderful condition of the nickel handlebars. 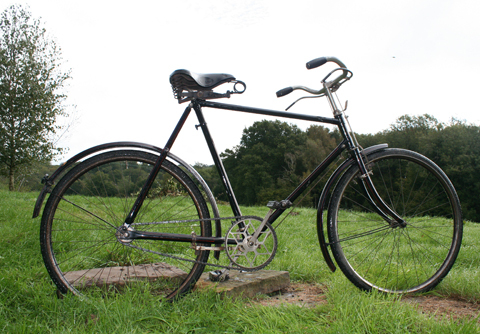 Though, of course, there were many badly made bicycles too, the top manufacturers of the early years of the century made their machines superbly. 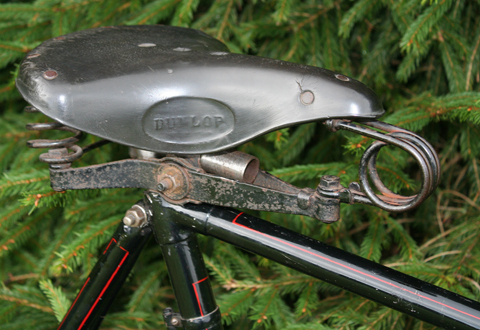 Increased competition eventually forced prices down, so it was difficult for smaller companies to maintain such high standards. 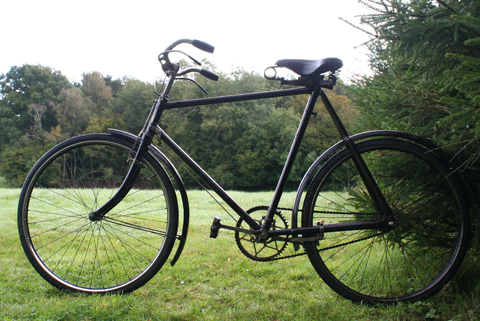 But quality control before WW1 was excellent. 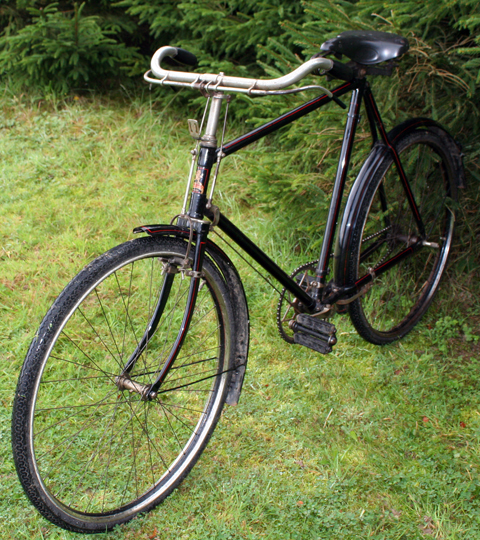 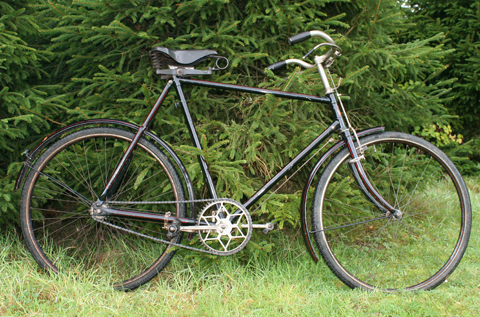 Edward O’Brien Ltd was the company behind the Challenger Cycle Motor Company, makers of the Coventry Challenge bicycle. 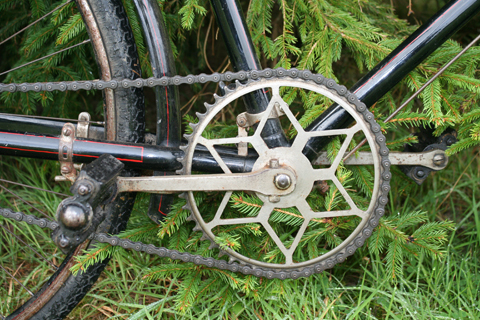 The firm claimed to be the world’s largest cycle dealer. 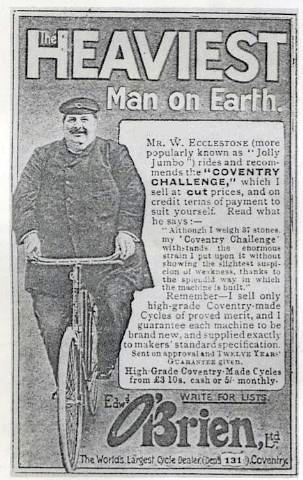 Their 1909 advertising campaign was renowned for using the ‘Heaviest Man on Earth’ – a Mr. W. Ecclestone, who weighed 37 stone – to ride their bicycle as proof of their bicycles’ high quality construction. 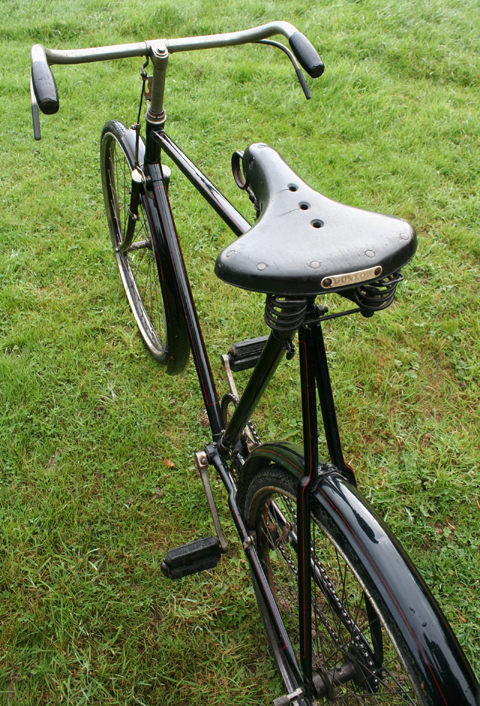 It was fitted with this Dunlop saddle when I bought it. 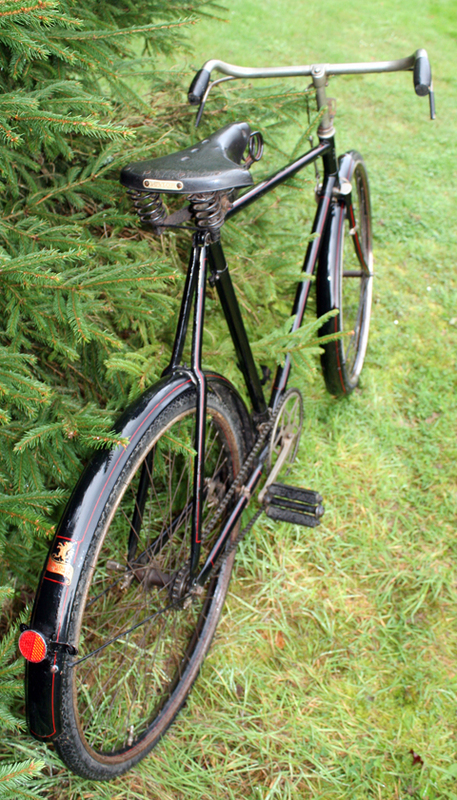 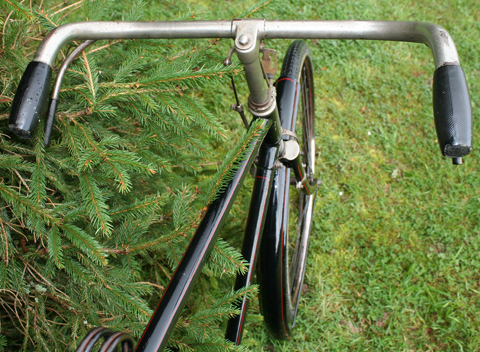 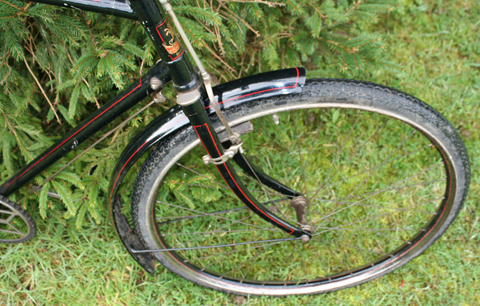 The saddle is in good condition, so I’ll fit it to a later bike and replace it with one from this era.